In the wake of yesterday's post, I'm so excited to be back with another interview. And this one is with one of my favorite people to train with and turn to when I need advice. I met Gillian during my first foray into training with the OTC, the Tour de France. She was a bit intimidating at first - beautiful, smart, and a LONG distance triathlete. Then when I joined HPS, I started to get to know Gill and realized that she was also one of the kindest and wisest people around. Gill and I also got to do weekly lunches while she was working at a client in my building during the summer, and always had great advice to share during our chats. I'm so excited to see where Gill goes next in her triathlon and running life. As you may have read last week (she shared the "travel tips"), Gill is going to Boston in April for the big kahuna - the Boston Marathon! Hello! My name is Gill Fischer. 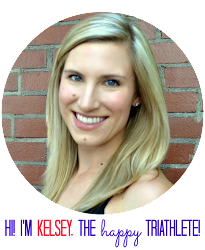 I am 24 years old and originally from Walkerton, Ontario, but have lived in Ottawa on and off since 2008. I typically run longer distance races such as half-marathons and marathons, and Olympic and half-ironman triathlons. 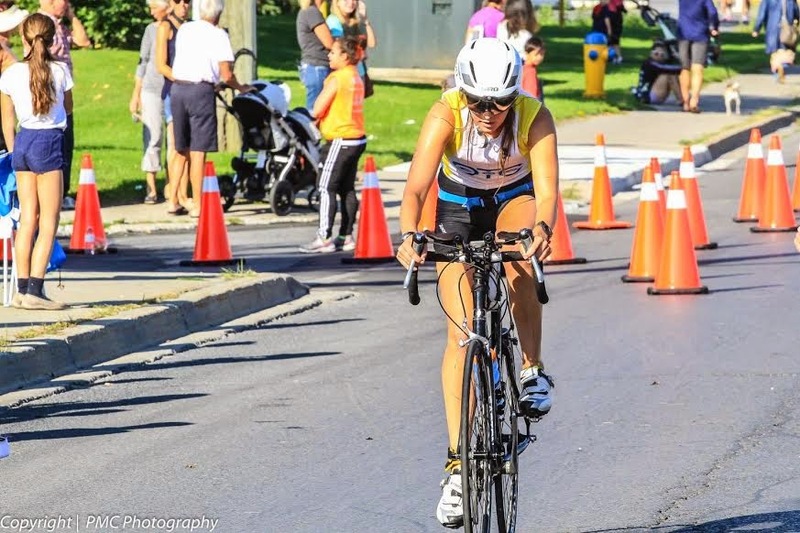 Outside of triathlon, I have a strong passion for painting (typically very colourful and bright large canvases), and love nothing more than biking or touring small quaint towns and villages, shopping at farmers markets, and enjoying an excellent cup of coffee or glass of wine. My background in formal athletics is quite minimal, although my history in playing in the outdoors is extensive! I played rugby throughout high school and was always a somewhat decent long distance runner. I have always loved the outdoors and spent my teenage summers working at a camp where I taught swimming lessons, mountain biking, kayaking, canoeing and much more! I am an avid hiker and have completed a few back country and long distance hikes over the years. 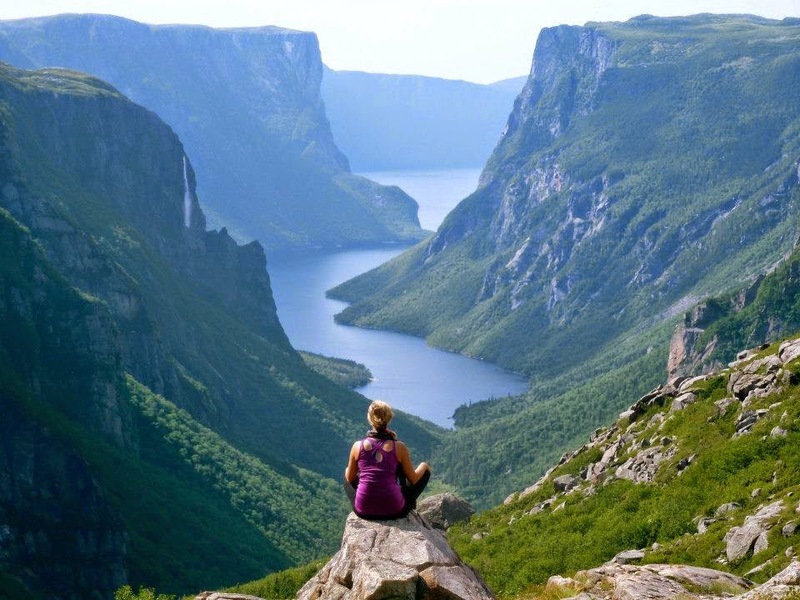 The picture below was taken on a 4 day backcountry hike in Gros Morne National Park in Newfoundland, in August 2012. To be honest the idea spiked from my mom. She volunteered at our local Sundridge triathlon and had encouraged me to think about completing it. I didn’t think I was capable at the time, but the idea always lingered in the back of my mind. 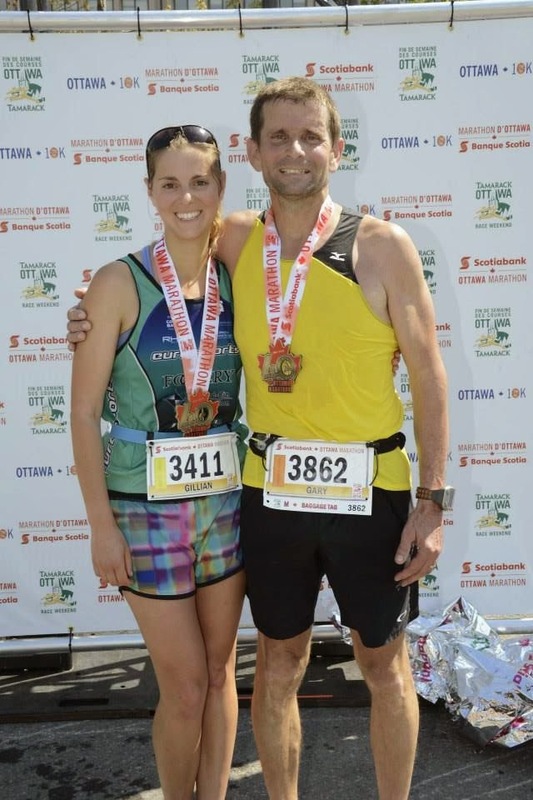 It wasn’t until I was living in Fort McMurray and was looking for a stress reliever and a new fitness goal for 2012, that I decided to take my mother up on her advice and train for the Sundridge triathlon. That Boxing Day, I bought a whole new set of gear from Unicycles in Edmonton, rented the “Triathlete’s Bible” from the Fort McMurray library, and secured a friend to help me get back into swimming! Luckily, Fort McMurray had just built a beautiful state of the art fitness facility which served as my indoor training grounds for the winter months. I ended up completing 3 sprint distance triathlons that year, including the Sundridge triathlon, and my first ever half marathon. After that, I was hooked and came back to run 2 marathons and 3 triathlons the next season. 1. Start with a small but meaningful race. I really encourage people to start with a local community race. Often times these races have more spirit, are less intimidating, and usually contribute to a good cause. 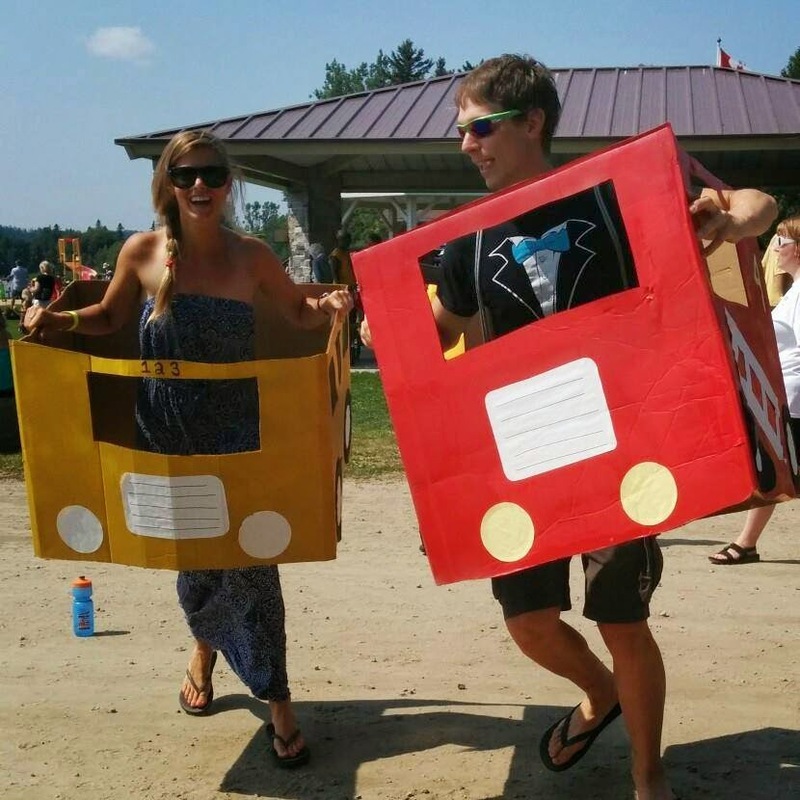 For instance, Joe’s triathlon in Parry Sound is a not only an extremely well organized and excellent triathlon, but also a cancer fundraiser and includes community events such as a pancake breakfast, a live concert at night and several other activities, all while helping a good cause! Another great local race in the Ottawa area is the Lac Meech Triathlon in Gatineau Park. 2. Join a team. The triathlon community is welcoming and overall wonderful, but it may seem intimidating and difficult to break into at first. By joining a team that includes sessions for beginners, you’ll have an easy way to meet people in the community, become part of a triathlon family, and learn about the sport. Not to mention you often have access to coaches or experienced triathletes who can help you along the way. 3. Use whatever gear you can get your hands on. Try not to be intimidated by other people’s equipment. For your first race, use whatever gear you can get your hands on. Borrow a bike, rent a wetsuit and don’t worry about heart rate monitors or spaceship like aero helmets. There is plenty of time for that! That being said, try not to be intimidated by other people’s fancy gear. I can still remember my heart dropping when I racked my bike at Syracuse at evaluated all the fancy and extremely expensive triathlon bikes on my rack. I was racing with a simple bike that was nowhere close to the caliber of those around me. I was very intimidated and immediately lost confidence in myself. At the end of the race, I had the 5th fastest bike time, all while riding on one of the lowest caliber bikes in the field. It reminded me never to worry about anyone else’s race except your own. 4. At the same time, do invest in some essential materials... The first year my dad started training he began biking in jeans. It wasn’t until I took him for a coffee in the sports meca of Chelsea, Quebec that he started to see the value of bike shorts and tights. One he invested in some starter training gear, he was immediately more comfortable and confident! The next winter he asked to borrow a pair of my very colourful tights when he forgot his for one of our runs. I guess flowery tights are better than jeans! Balance. I struggle to find the balance between not over training and not under training, as well as striking the right combination of training for all three sports (should I spend more time on becoming a better swimmer and less on the bike, or more on improving my bike and less on the run?). It’s never easy, and I still have so much to learn! I think the most rewarding aspect is getting to a moment when you can give back. 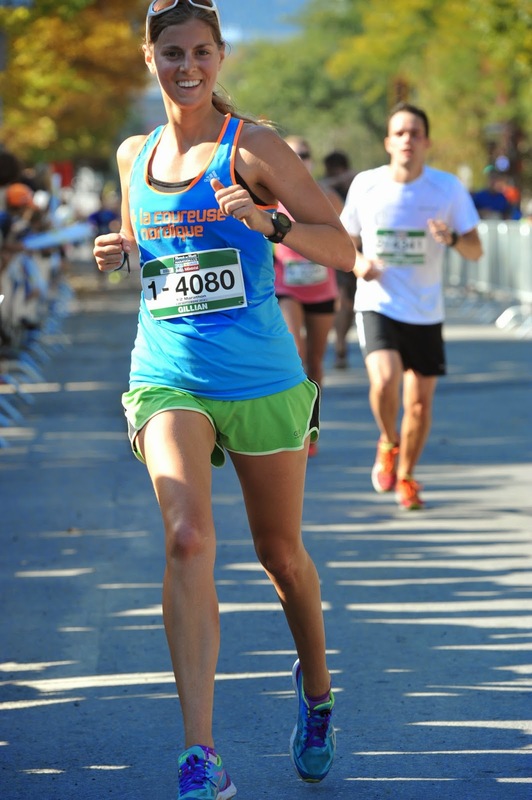 I would love to be a pace bunny in a half or full marathon next year, and help people achieve their goal time. I am extremely proud and grateful to have enough experience that I know I can confidentially run a certain time and still have energy to encourage those around me to achieve their goals. Life as a triathlete has led to so many different things and new adventures. Had I not joined triathlon, I may not have gone on a bike trip across mid-western Ontario, started cross-country skiing, explored Gatineau Park, met so many new friends, experienced the calmness and absolute beauty of swimming in Lac Meech at sunrise, discovered the delicious bakeries in Wakefield while out on a ride, or travelled to new and exciting places to race. In addition, my interest in triathlon encouraged my father to pick up the sport as well, and in doing so, allowed him to take control of his body and drastically decreased his chance for heart attacks. The sport has given me and my family so much, I am very grateful! In the triathlon world, I would like to go to 70.3 worlds, which is a long term goal of mine, and a focus for 2015/16. In the running world, Boston has always been on my bucket list and I am extremely proud to be training for this year’s Boston Marathon right now! But on top of all that, I would absolutely love to do the 100 mile Ultra-Trail du Mont Blanc which passes through France, Switzerland and Italy. Completing this race would be a dream come true. Dinner: Plain spinach pasta with olive oil and grilled salmon. The bike has been my biggest “mover” in the past, and often my preferred sport. Being a weaker swimmer, I find myself typically coming out of the water mid pack, so I rely heavily on the bike to move up and get into a good position for the run. I also tend to target races with hillier bike course to give me the extra advantage.